Last edited by JohnDoe2; 04-12-2019 at 09:21 PM. I couldn't find article at link. “She continued: “We are a city that is a sanctuary city. We have immigrants from all over the world who call Chicago their home. 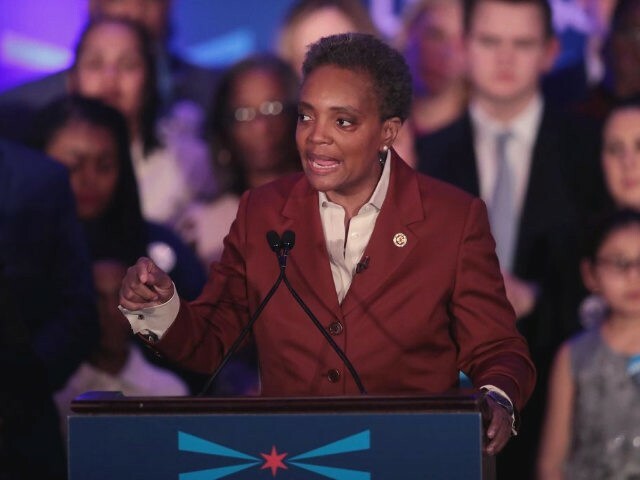 They’ll continue to do that, and we’re going to continue to make sure that this is truly a welcoming community for those immigrants, and we want them to come to the city of Chicago,” the newly elected mayor concluded. Trump needs to shut his pie whole and work on busing these illegals out of our country, not deeper into it! Beezer, stoptheinvaders and 6 Million Dollar Man like this. We want butts on buses back home! We do not want them released in our country. They will not stay in sanctuary cities and they will end up all over this country with their illegal relatives who are ALREADY here! SHUT YOUR PIE HOLE TRUMP! GET OUT YOUR PEN AND PHONE AND PUT A 90-DAY PAUSE ON ANY AND ALL ALIENS COMING HERE UNDER THE ASYLUM PROGRAM FROM ANYWHERE ON THE PLANET INCLUDING THAT BORDER!!! We cannot have one billion people on the planet show up on our doorstep!